So, with that in mind; it may seem like you and your little ones were sitting in Crafty Monkey adorned in shorts and sun hats, painting all manner of holiday themed pottery…and now it’s time to start all over again! The end of the school term often brings with it, the beginning of parents tearing their hair out looking for things to fill the long summer days with. Most of you will know by now that at Crafty Monkey, we are saviours of sanity! 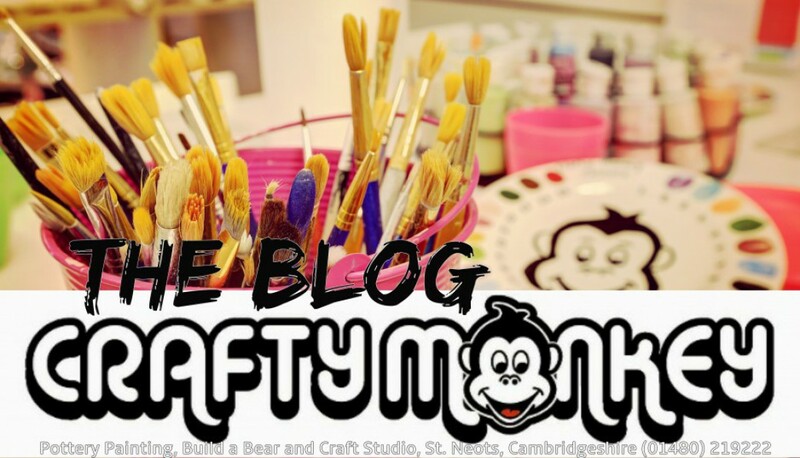 Last summer, we saw many of our customers returning week after week to have a go at the different crafts on offer to their offspring (and many mums joined in too!). If your children have pottery painted until the cows come home, then why not ask them to try their hand at foam clay or decoupage? And of course, the infamous Build a Bear is not to be sniffed at as a summer holiday children pleaser! Do remember to give us a call to book your place in the studio- even if it’s on the same day that you intend to come, as the studio can get busy during the summer holidays. If you’re reading this and thinking that your children have already filled up your house with beautifully painted princesses and dinosaurs, then you can always be a bit clever and super- organised…it’s never too early to get the kids to sit and make the family’s Christmas presents!